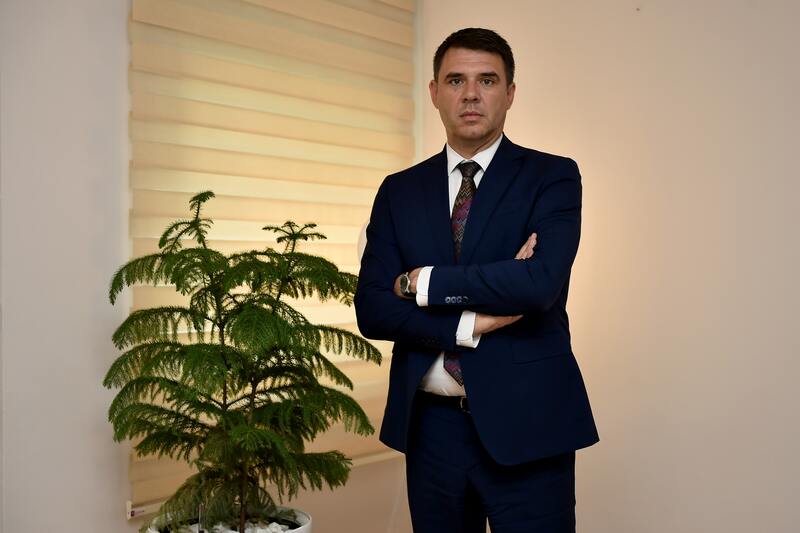 Interview with Aleksandar Drljević, Chief Negotiator with EU for Montenegro. The interview was taken in the context of the forthcoming conference Western Balkans and the Rule of Law: How Close to the EU? in Podgorica, where Drljević is one of the speakers. 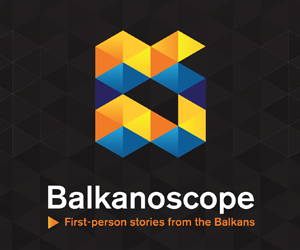 European Western Balkans: What are the most significant reforms Montenegro has undertaken in the areas covered by the Chapters 23 and 24 since the publishing of 2018 European Commission Report in April? 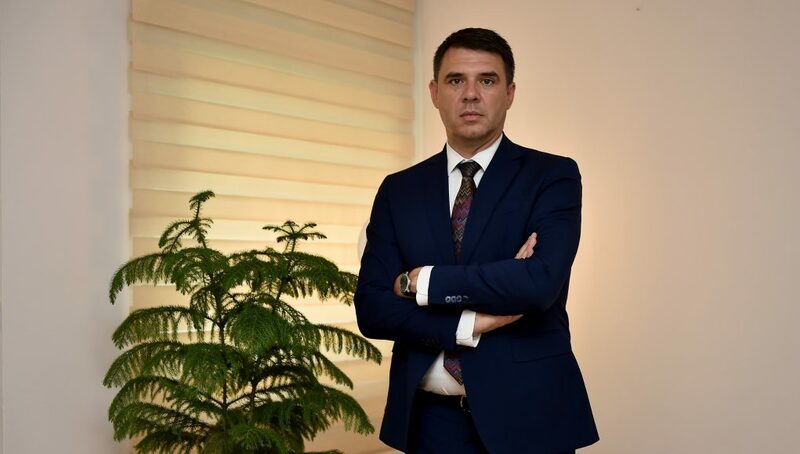 Aleksandar Drljević: Chapters 23 and 24 represent the core of the negotiating process and the pace of negotiations and movement towards the EU in general depend on the progress made in these fields. Two weeks ago, the European Commission presented the Non-Paper on the status of negotiations in these two chapters, where it recognized all the activities undertaken by the Montenegrin institutions in order to improve the rule of law, i.e. raise the quality of life and safety of our citizens. This document, which is available to public, recognizes the progress in many fields – in the reform of legislation and institution building, with results achieved in the field of the fight against high-level corruption, organized crime, money laundering and temporary seizure of assets, as well as the fight against discrimination and protection of foreigners. I will seize this opportunity to remind you about some of results noted in this document, which are important for understanding the progress in this field. As regards the judicial reform process, we have a high degree of implementation of standards when it comes to legislative and institutional framework, as well as the three-year implementation of laws, particularly with regard to the national competition procedures and the system for appraisal of performance of judges and public prosecutors. The Anti-Corruption Agency issued 118 opinions at the request of public officials and authorities; 26 decisions on incompatibility of functions and conflict of interest. In 2017, 127 opinions and 58 decisions were provided. Based on opinions and decisions of the Agency, 53 public officials resigned from their function or functions, which is 16 officials more when compared with the previous year. The results achieved by the Special Public Prosecution Office have been recognised as well, particularly when it comes to the fight against high-level corruption – in the period January – end of September 2018, new investigations were launched in 8 cases of high-level corruption, against 100 natural and 49 legal persons; at the same time, indictments were raised against 28 natural and 2 legal persons for criminal offenses with elements of corruption and misuse of office. In the period October 2017 – August 2018, 182 persons were prosecuted for criminal offenses with elements of organized crime. Fifteen severe criminal offences were prevented. This report also recognised the track record regarding the fight against money laundering and temporarily seized assets, when it comes to the period from the date of publication of the Report on Montenegro. As regards the fight against cigarette smuggling, the police seized smuggled cigarettes (the total value exceeding EUR 10 million) in three different cases involving dozens of legal and natural persons. Of course, the document also identifies certain challenges with clear recommendations for their overcoming. The Government of Montenegro, as well as the independent and judicial institutions are ready to respond to all challenges and use the recommendations from the document as guidelines for further work. EWB: The EC Report has assessed that the progress on freedom of expression, especially addressing violence against journalists and media, has remained limited. 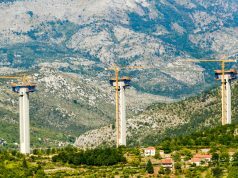 What is Montenegro planning to do in order to improve its track record in this area? AD: This society, as well as any other society that tends to become democratic and modern, must be based on freedom of expression, therefore every attack on journalists and media is considered an attempt to shake one of these foundations. Montenegro is fully committed to continuous improvement of standards in the fields of freedom of expression and media, and we understand the importance of this freedom as one of the fundamental EU values. Since we are aware of the need to preserve this freedom, I assure you that public institutions work continuously on prosecuting attacks on journalists and media property and fight against inciting attacks on journalists, which, hopefully, will result in the identification of perpetrators and persons ordering these criminal offences. Besides efforts made in order to repress criminal offences, we are also committed to improving legislative framework in the field of media. 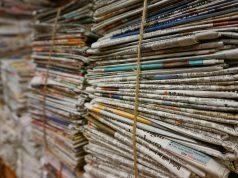 We expect that the new law on media will be endorsed soon, as well as amendments to the law on the national public broadcaster RTCG. Furthermore, we expect amending of the law on electronic media by the end of the next year. 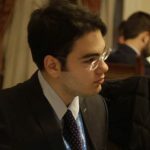 EWB: According to the available databases, the number of assassinations that can be qualified as mafia executions, taking place in Serbia or Montenegro and being connected to both countries, has significantly increased since 2015. How can the two countries work together more efficiently in order to guarantee safety of their citizens? AD: Fight against organized crime provides better results in comparison with the previous years, partly due to reinforced police cooperation with EU Member States. Montenegrin police participated in a series of high-profile international police operations that resulted in arrest of members of criminal groups and rather substantial seizures of drugs. As regards joint activities with the countries of the region, including Serbia, I will note that from January to May 2018 Montenegro continued to carry out joint patrols with all neighbouring countries, with the exception of Croatia. Co-operation with neighbouring countries in the area of cross-border traffic continued to run smoothly, with the opening of a new joint border crossing point with Albania in July and the signing of various protocols and agreements, while others are under preparation. Border cooperation with Serbia has improved significantly with the signing of nine bilateral agreements in August, regarding several international border crossing points and joint border crossing points. We understand that stable and close cooperation at the regional level is the only adequate response to the activities of organised crime groups in this region, whose activities know no borders; that is why we will continue to have such dynamic cooperation that we believe will lead to the greater security of citizens of our country, but also of all countries in the region. EWB: One of the major problems in all Western Balkan countries is the political influence on nominally independent monitoring bodies. How would you assess the situation in Montenegro in this regard, especially when it comes to the relatively young Anti-Corruption Agency? AD: Our determination to establish the rule of law based on the European model is reflected in the fact that to date around 70 laws have been adopted or amended in this area, and that the institutional framework for the fight against corruption and organised crime has been established by setting up the Anti-Corruption Agency and the Special Public Prosecutor’s Office. The European Commission also noted the effectiveness and activities of the Anti-Corruption Agency in its reports. I believe that the results of the Agency speak for themselves regarding its independence and functionality. Namely, apart from the results that I have already mentioned concerning the area of conflict of interest, this year the Agency started issuing misdemeanour warrants and imposing misdemeanour fines, and carried out a number of activities related to political parties and electoral campaigns funding for presidential and local elections. By the end of June 2018, it launched 17 misdemeanour proceedings against political entities and responsible persons. EWB:Do you expect that Montenegro will be able to close all of its negotiating chapters in order to become a member of the EU by 2025? AD: Transformation of Montenegrin society in accordance with the European system of values that is based on the rule of law is a complex process, to which the Government has been genuinely committed since the beginning, while preserving the well-being and prosperity of our citizens as the primary goal. By opening and closing the negotiating chapters, Montenegro strengthens its internal readiness for membership. We have repeatedly emphasised that EU membership is not the sole objective, but that at the core of this process is true democratisation of the society. The confirmation that we are doing a good job can be observed in the fact that we have so far opened 31 negotiating chapters, and we expect to open the remaining two. Such a pace gives us the reason to believe that we will be ready for membership even before 2025. Bearing in mind that the closure of the negotiations will not only depend on us, but on external factors as well, such as the situation in the EU and the Member States, it is still early to give any predictions and timeframes, and we will retain such approach in the upcoming period as well. What is certain is that we have the support of European partners in what we do and we ought to make the most of that momentum. 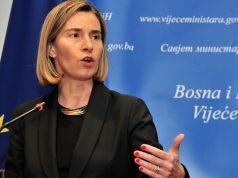 Previous articleWestern Balkans and the Rule of Law: How Close to the EU?